We have already seen a Louis Vuitton case for the Apple iPhone which features their famous monogram design, no it looks like the luxury leather goods manufacture has its sights set on the new Apple iPad. You will soon be able to protect your shiny new Apple iPad with a Louis Vuitton iPad case, that costs almost as much as your iPad. 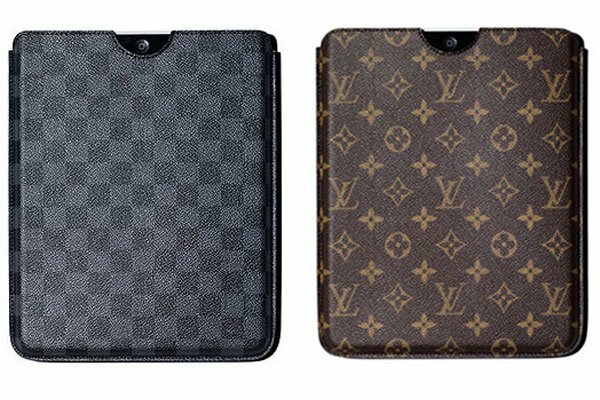 The Louis Vuitton iPad case will be available in two designs, there will be one featuring the monogram design and another version which features the monochrome Damier Graphite design. The cost of this luxury protection for your Apple iPad? About $366 when it goes on sale next year.